When I first heard the concept of Bioderma, I thought, what? How is that possible? It can remove makeup with no harsh chemicals? I became rather curious. I put my old fashioned cleansers to one side, and delved into the world of micellar solutions. I am still yet to try Bioderma. I’ve given L’Oreal’s version a try, and while I do find it great for removing makeup, it does leave my skin feeling a little greasy, and it disperses WAY too much product to the point where you’ve wasted half the bottle. 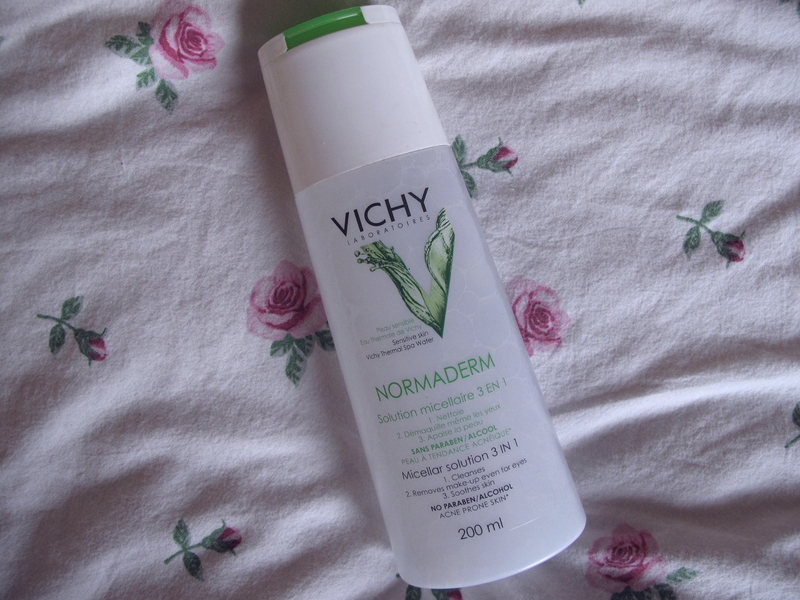 I’ve only noticed this since I found Vichy’s Normaderm 3 in 1 Micellar Solution. I was hunting down Garnier’s Micellar Cleansing Water when I stumbled across the premium skincare aisle in Boots…woops. 6 weeks later, I’m in love. And to top it off, the design of the bottle has meant that I’ve used barely any of the product, so the painful £10.50 price tag is worth every penny. It does everything a micellar water should do; it gets all my makeup off, and I don’t mind applying it to my eyes. There’s no stinging, plus it’s for acne prone skin. Could this product be any more perfect for me? The scent isn’t displeasing; it feels fresh and it’s really helped keep my spots at bay. I couldn’t rave about this product enough.